Coming from Athens, Corinth is the first prefecture you come to in the Peloponnese – the first sign of warmth and excitement. The aromas of the sea, the mountains, the harvest of grapes and currants are all-encompassing, accompanied by the sound of bees buzzing around the sheds where the currants are drying. Here you will rediscover some old Greek myths, learn that Nemean wine is called “Herakles blood” and that retsina is the teardrop of a certain wood nymph. You will find out about gods, nereids and mortals; Zeus and Apollo. You will come upon columns, sanctuaries and ancient palaces. The magic of the Argolid, the bald mountains, the golden valleys, the grandeur of the monuments and the eternal quality of its myths will leave a lasting impression. 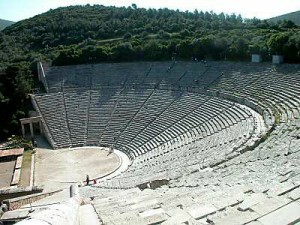 On this “flaming red earth” celebrated by the poet, you will hear the most sublime voices of the Greek land, Homer, Aeschylus, Sophoclies. Argolida was the heart of Greece from 1600 to 1100 BC under the Myceneans. With their decline; the Dorians controlled the fate of the region until the conquest of the country by the Romans. During the Byzantine Era the Argolid shared the fortune of the rest of the Peloponnese. It was ruled by the Franks and surrendered to the Turks in 1460. 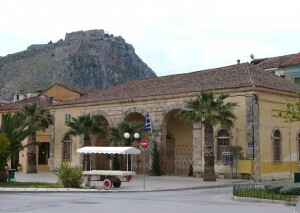 Nafplion, though, remained in Venetian hands until 1540. Nafplion was the capital of the newly formed Greek state from 1828 to 1834, when this role passed to Athens. Nafplion is the capital of the prefecture and one of the loveliest towns in all Greece. The old city with its neoclassic houses, picturesque streets, wooden balconies with cascading flowers, Turkish fountains, Constitution (Syntagma) square with its fascinating mosques and outdoor café tables, is like fairy land. And the fairy tale world continues, whether you climb up the 999 steps to the Venetian fortress of Palamidi crowning the city, or wander around the battlements of Acronafplia or pop over to the island of Bourtzi, afloat in the middle of the bay. A new sight or sensation keeps coming across your path.